Wymondham is a historic market town a few miles south west of Norwich. 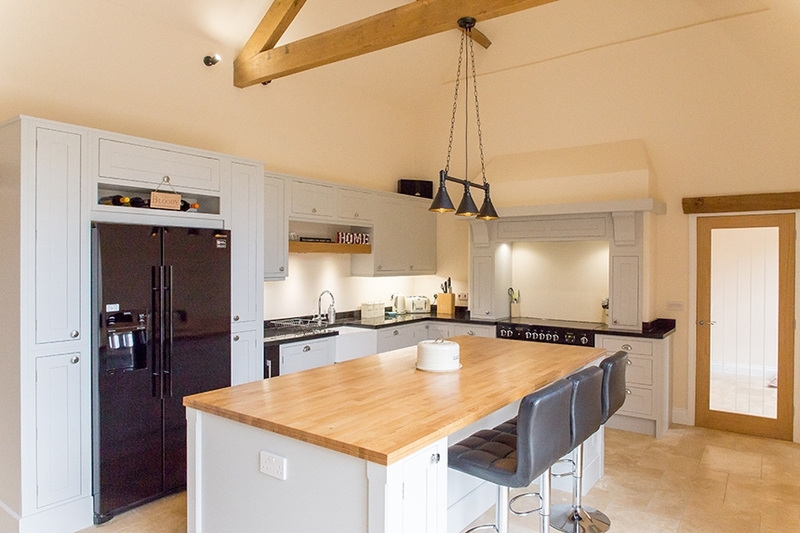 We did some work there recently when we were asked to design and install one of our kitchens for a spacious barn conversion. It was a great experience to work on such a large canvas – the high-ceilinged former barn offered unique challenges and opportunities. The first thing that struck us about the property was the sense of space imparted by the high ceilings. Working closely with the property owners, who had undertaken much of the conversion themselves, we came up with a design that would emphasise and utilise that space. The end result was a light and airy kitchen that would serve as a social as well as a functional room. One kitchen feature that is returning to popularity is the overmantel. Increasing numbers of our clients are asking about how this feature can be incorporated into their kitchens. In a large space such as this one, an overmantel provides a strong framing device for the wall above the range. We can incorporate storage space – seen here in the built-in cupboards either side and the large shelf. Where there’s room in a kitchen, a kitchen island provides useful extra surface space – perfect for when you have a lot of preparation to do. Stools allow guests to perch and chat with the host while dinner is being created. Hanging pendant lights shine a directed light – this can be used in combination with the main kitchen lights when cooking and on their own to create an intimate dining area. 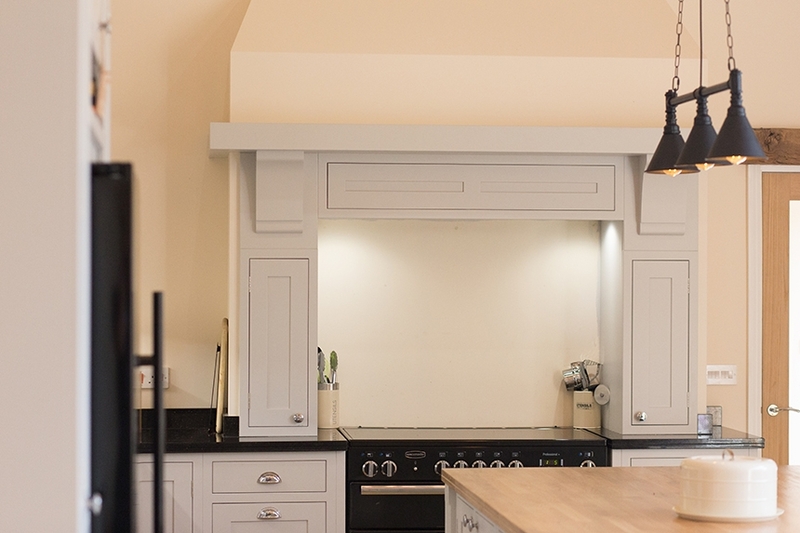 You can read more about this converted barn kitchen (including how we combined the shaker style paintwork with modern chrome finishing touches) on our website. 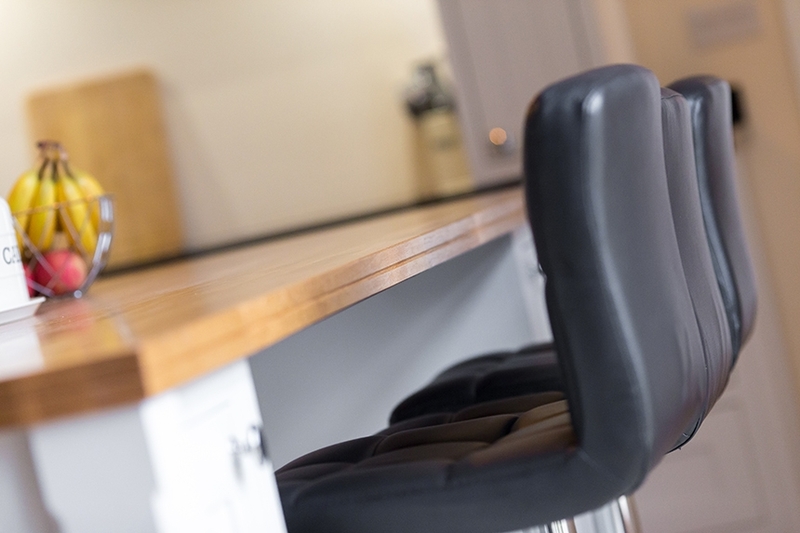 If you are thinking about installing a Bear and Woods kitchen, call us to arrange a free-from-obligation design consultation. Our telephone number is 01603 905145 and we have a twenty-page brochure available on request. Want to see more? Follow us on Facebook for regular articles and pictures.